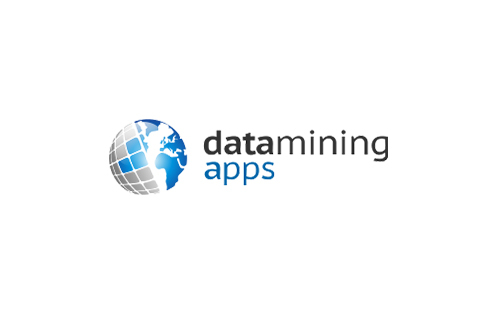 Creditinfo and www.dataminingapps.com have agreed to work together to conduct research into the predictive nature of location and mobile call data to enhance the ability to increase access to credit for the unbanked. With more than 2 billion people in the world without formal banking and access to credit it is important innovative methods are found to introduce people to the formal sector. With the penetration of mobile telephones and increasing number of smart phones this is an ideal source of data for understanding the Social Network of individuals. The Social Network can provide an insight into the individual, their economic status and lifestyle and thus their ability to pay credit commitments. www.dataminingapps.com is a research centre at KU Leuven specialized in researching Big Data & Analytics in marketing, fraud, credit risk and HR. The research centre consist of 10 PhD students and is supervised by prof. Baesens and prof. vanden Broucke. The group has various sponsored research partnerships with industry and features a two-weekly newsletter reporting on its recent research findings. Bart Baesens is a professor of Big Data and Analytics at KU Leuven (Belgium) and a lecturer at the University of Southampton (United Kingdom). He has done extensive research on Big Data & Analytics, Credit Risk Modeling, Fraud Detection and Marketing Analytics. He has written more than 200 scientific papers, some of which have been published in well-known international journals (e.g., MIS Quarterly, Machine Learning, Management Science, MIT Sloan Management Review and IEEE Transactions on Knowledge and Data Engineering) and presented at top international conferences (e.g., ICIS, KDD, CAISE). He has received various best paper and best speaker awards. Bart is the author of 6 books: Credit Risk Management: Basic Concepts (Oxford University Press, 2009), Analytics in a Big Data World (Wiley, 2014), Beginning Java Programming (Wiley, 2015), Fraud Analytics using Descriptive, Predictive and Social Network Techniques (Wiley, 2015), Credit Risk Analytics (Wiley, 2016) and Profit Driven Business Analytics (Wiley, 2017). He sold more than 15.000 copies of these books worldwide, some of which have been translated in Chinese, Russian and Korean. His research is summarized at www.dataminingapps.com. He also regularly tutors, advises and provides consulting support to international firms regarding their big data, analytics and credit risk management strategy. María Óskarsdóttir is a PhD researcher in Big Data and Analytics at KU Leuven. She received her BSc degree in Mathematics from the University of Iceland in 2010 and a Master’s degree in the same field from the Leibniz University in Hannover, Germany in 2014. In September 2014 María joined the research group of Prof. Bart Baesens and Prof. Jan Vanthienen at the department of Decision Sciences and Information Management. Her main PhD research areas are social network analytics with applications in churn prediction and credit scoring together with marketing analytics and costumer lifetime value modeling using state of the art technology.